The New England Aquarium has the system down to bring whales to the masses: a huge, fast catamaran whisks you an hour off-shore into Stellwagen Bank, a shallow feeding ground and sanctuary. Right from the center of Boston you can spend three hours and $40 and see one of the most active whale-watching sights in the world. 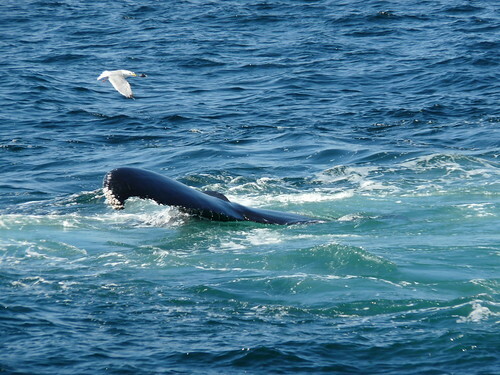 Whale-watching tours from Cape Cod, Plymouth, Cape Ann, New Hampshire and Maine all head to Stellwagen. The boat’s stable, so only a few get sick. You spend an hour speeding out to sea, an hour watching and an hour coming back. They sometimes see minke or fin whales, dolphins and basking sharks. A guy filming the trip for NOAA said it was the best he’d been on. Not in Boston? Here are a ton of great places to see whales. More places to see animals in the Northeast. Got suggestions for animal watching places? Tell us. 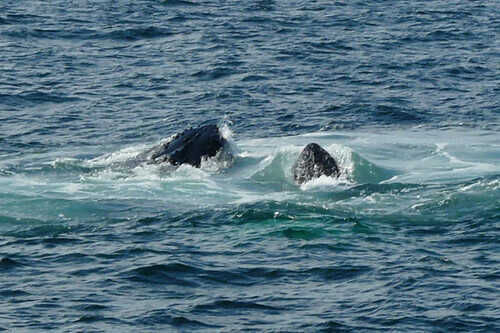 1 comment to NEAQ Whale Watch: Humpback Bubble Cloud Feeding off Boston?